National School Breakfast Week was a success!! During NSBW our schools did a great job increasing participation with their outstanding promotions. Trinity Elementary School (TES) had a campaign that revolved around “Going Bananas for Breakfast”. A jungle of “Monkeys & Bananas” lit up the cafeteria like a warm summer day. The students got involved in the creation of the decorations by making posters and signs to hang in the cafeteria. 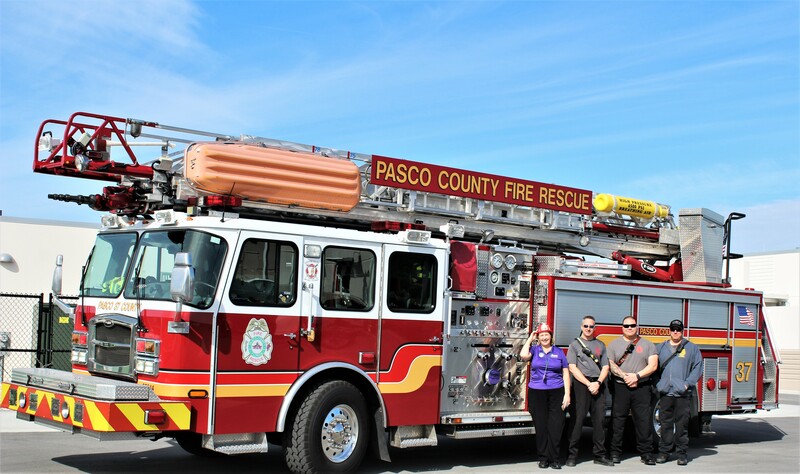 The local Fire and Rescue Department was invited to assist with serving breakfast. 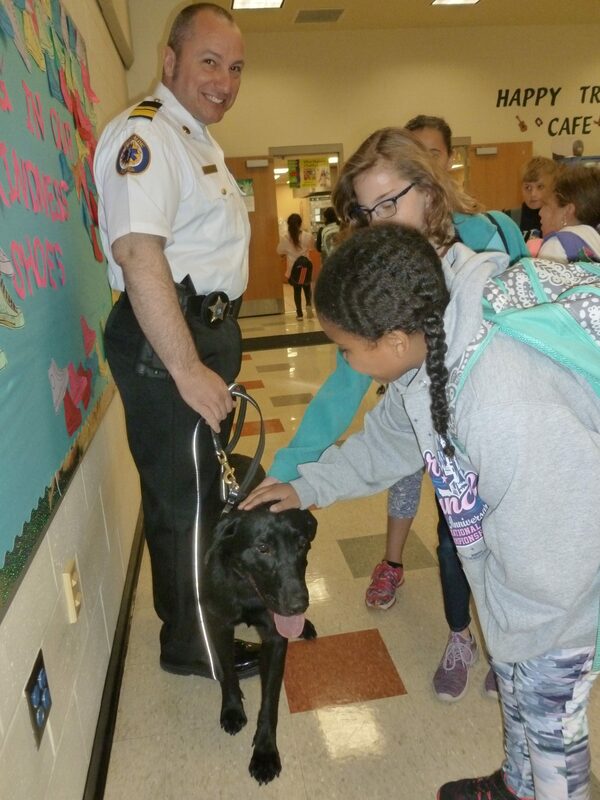 They also brought with them their arson detection dog, Dobie, who was more than happy to be a part of the celebration. 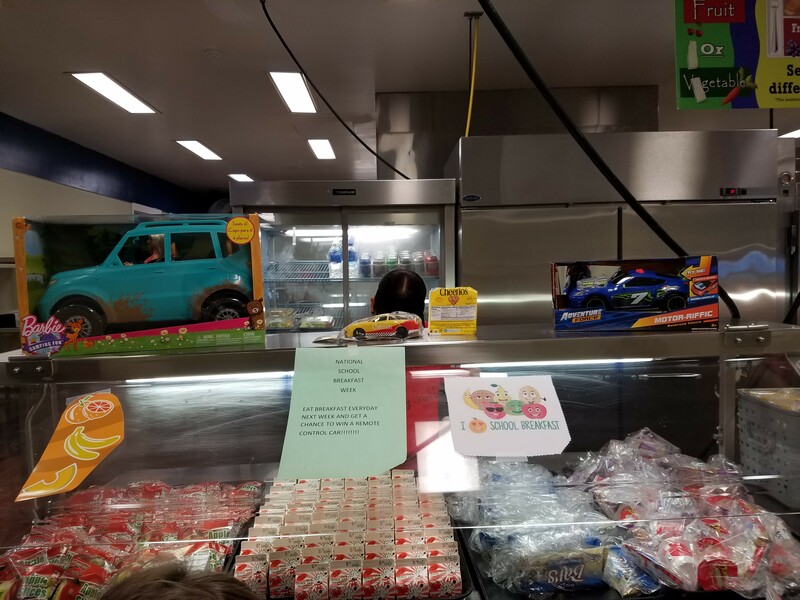 Small prizes such as slime, water bottles, stuffed animals, and stickers were raffled off to five students each day who ate breakfast. The prizes were donated by the TES’s outstanding PTA. Anclote Elementary School’s theme was “Ohana Breakfast”. They had a luau theme with different giveaways, activities and daily prizes. On Tuesday students did the limbo as they entered the breakfast line and received leis as they walked out. Wednesday they had a couple different prizes to give out (some temporary tattoos, erasers, water bottles, etc.) and Tampa Bay Lightning merchandise. Hula dancer props were put out for students to take pictures with, and on Thursday all students participating in breakfast received a free pencil and a beach bucket. The last day of the celebration was superhero day. 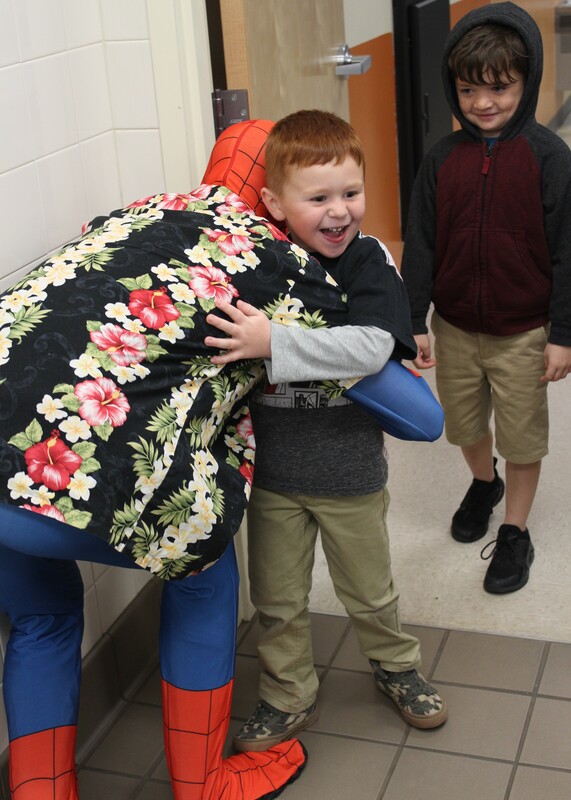 Spiderman came to visit after flying in from his Hawaiian vacation. Students who ate breakfast got a free superhero sticker. A movie gift card and Justice League bag was the grand prize for the day and all students who ate breakfast had a chance to win. Even the staff had an opportunity to win a gift basket with a Wawa gift card if they came in and purchased breakfast. 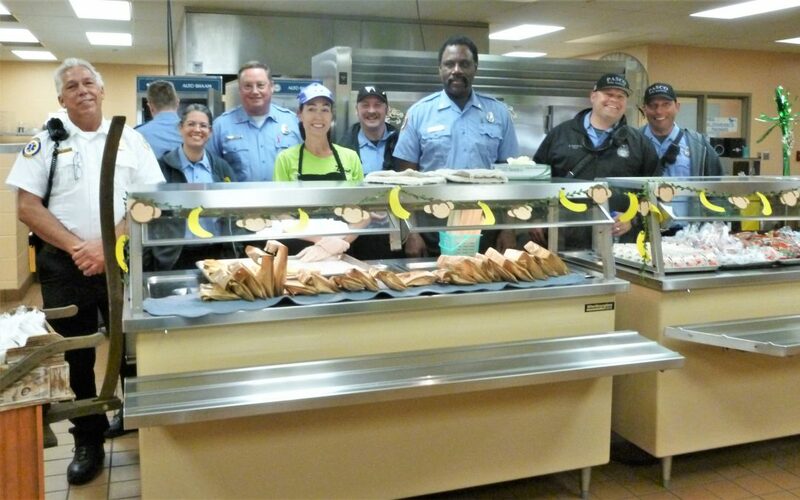 Bexley Elementary School celebrated “Breakfast with a Hero” involving the community and inviting first responders to breakfast. 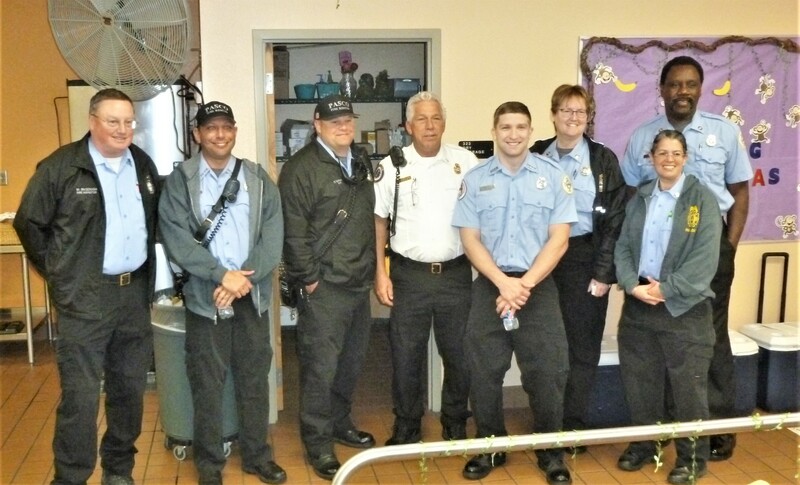 On Wednesday the Fire Department came and joined the students at breakfast. 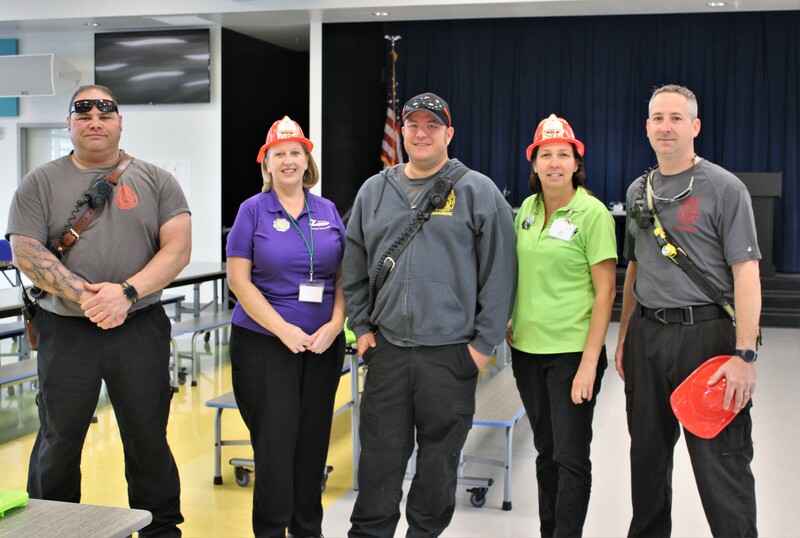 Thanks to donations from local businesses like Firehouse Subs, each student that ate breakfast received their meal in a plastic fireman hat. Thursday was Law Enforcement day where Police officers handed out stickers to the children as they came through the breakfast line. On Friday, students that participated in the coloring or essay contest were entered into a drawing for a chance to win prizes. Bexley’s participation was on fire and their numbers went through the roof. Connerton Elementary School had “Breakfast of Champions” featuring WWF wrestlers. Pictures, streamers and balloons displaying several famous wrestlers inundated the cafeteria. 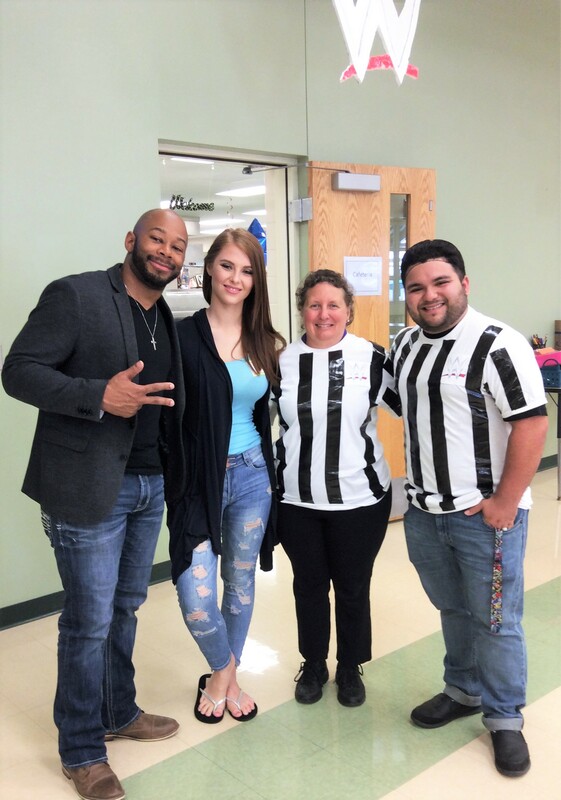 On Monday, professional wrestlers Jay Lethal and Ava Storie came to breakfast to talk with the students about eating healthy. This created a huge buzz for the promotion. The cafeteria workers made their own referee shirts to wear each day. 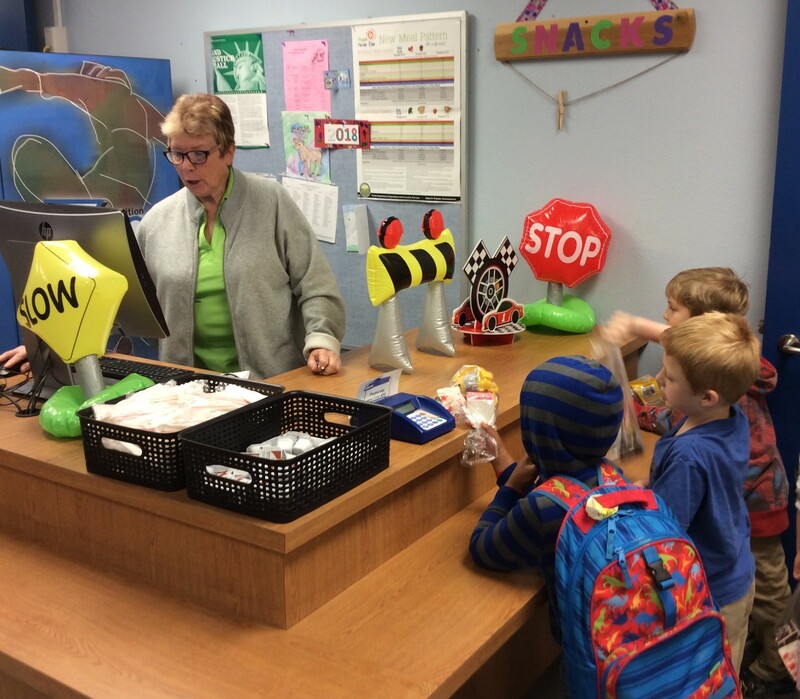 Daily WWF giveaways kept the excitement going and the students coming in for breakfast. 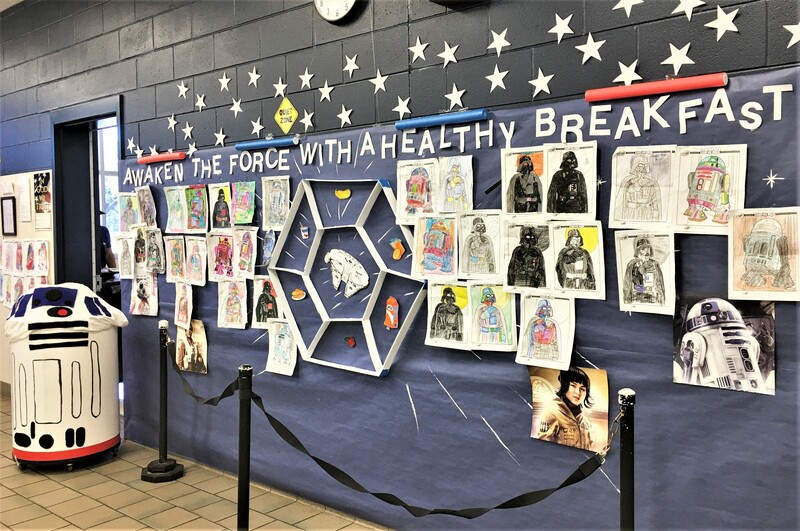 Schrader Elementary School wanted to “Awaken the Force” within the students by eating a healthy breakfast. 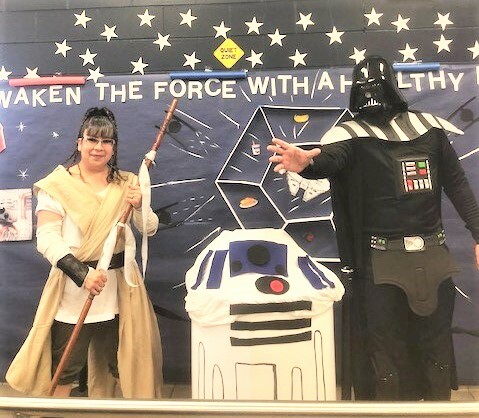 With appearances by Darth Vader, Rey and R2D2, the students and staff made an extra effort to participate at breakfast. Donations for the prizes and giveaways were made possible by several local companies. Congo River Miniature golf and Stop & Play both gave passes for free games. Cinema 6 provided movie and snack passes. Ruby Tuesday donated gift cards to each the teachers/staff involved. Daily small prizes such as stickers and pencils were handed out when the students received a breakfast. The students thought the promotion was out of this world. All our schools did an awesome job at increasing their breakfast participation and spreading the word on the importance of eating a healthy school breakfast.